Hydraulic seal kits :- 360 Industrial Products rod seal consists of a PTFE rod sealing ring and NBR/FKM O-Ring. This rod seal is designed to ensure that pressurized fluid does not leak out of the system. 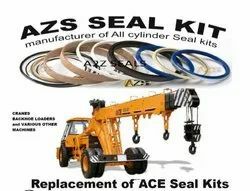 We are the leading organization in the market to offer the best quality range of Hydraulic Cylinder Seal Kit. 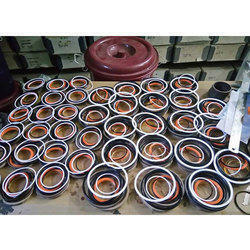 We are offering Hydraulic And Pneumatic Seals to our client. We are one of the highly acknowledged firms that offer an extensive range of Hydraulic Cylinder Seal Kits to meet the demands of our clients. These products are constructed using high grade raw material and advanced technologies that ensure their reliability and smooth functioning. These products are highly durable and available at affordable rates.